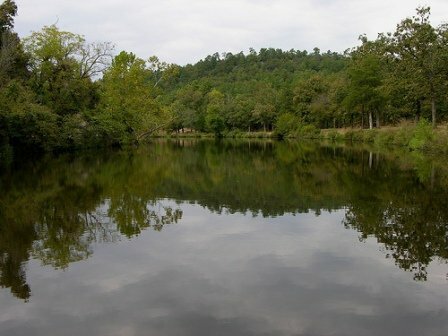 Pack up the whole family and head to Robbers Cave State Park in Wilburton for the annual Youth Trout Fishing Derby. The event is for ages 16 and under. There is no fee for this event, but children must be accompanied by an adult. Pre-registration is requested but can be done on-site on the morning of the event. Fishing will begin at 9am at the Deep Ford Campground. There will be three different age brackets for participants: 6 & under, 7-10 and 11-16 years old. Two rod & reel prizes will be awarded for each age bracket for the heaviest stringer (limit 6) and heaviest single trout. Some bait will be provided; however participants are encouraged to bring their own and must bring their own rod, reel, tackle, stringer and basket. Participants are limited to one pole per person. An awards ceremony and hot dog lunch will be served to all registered participants after 11am. 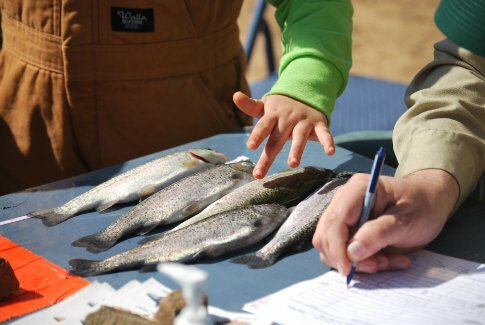 A trout license is no longer a requirement; however if a participant is 16, an Oklahoma Fishing License is required. Located 5 miles north of Wilburton on Hwy 2. Derby held within the Deep Fork Campground.